Varsity Jackets aren't just for high schoolers any more. 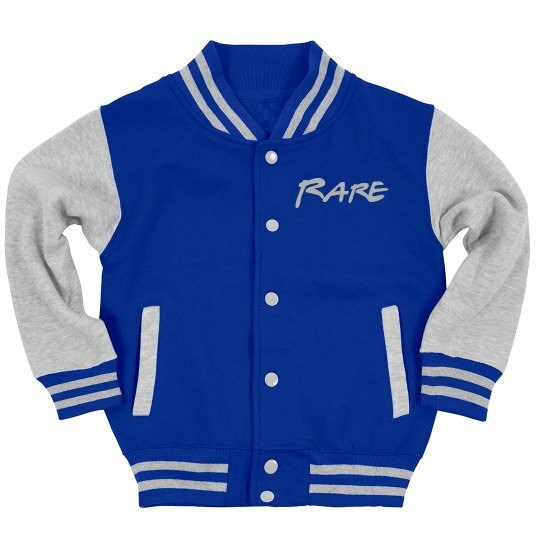 If your child is an athletic star, they can get their own personalized letterman jacket now! Add your name and number to the back, or anything else you want. *This material is applied to your item at a very high temperature and pressure for a long lasting, vibrant look. Please note, we are unable to use this material to produce some of the art in our gallery that is highly intricate or colorful.